Bottled Patina Solution for Copper Sheets- Traditional Brown- 32 oz. Home > Bottled Patinas > Bottled Patina Solution- Antique Brown- 32 oz. Bottled Patina Solution- Antique Brown- 32 oz. 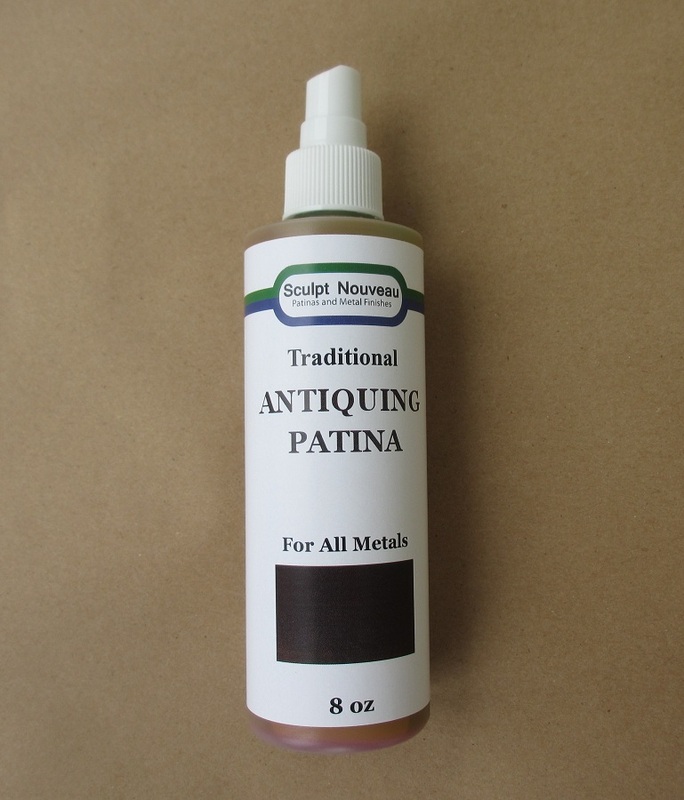 This solution is used for creating a patina on copper, bronze, or brass. This solution will produce a darkened brownish/ black patina that can vary in color from a light brown, to very dark brownish black, to dusty grey (if heavily applied). This product can also be applied as a base underneath the green patina, if such a look is desired. The patina will begin to develop immediately with full results appearing after about an hour or two. To use: First clean the metal thoroughly and dry, Then spray, brush or sponge on the solution. It may be preferable to start out with light coats and re-apply if a deeper color is desired. After a few minutes the patina will begin to develop- with full results occurring after and hour or 2 (longer if applied heavily). When done, preserve the look with a clear sealant if desired. If not sealed, the copper will continue to change color over time due to the natural patina process. Coverage will vary based on the heaviness of application and the number of coats used. One 32 ounce bottle may cover 80 square feet or more. Copper Sheet after application of patina. This is one coat - sprayed on and dabbed with a sponge brush, after about 1 hour.